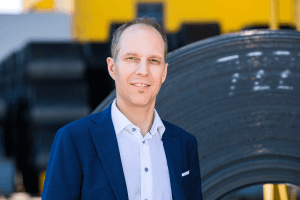 Stefan Schuster joined voestalpine in 2006 after obtaining his degree in Industrial Environmental Protection, Waste Management Technology and Recycling at the Montanuniversität Leoben. As an expert for the environment and for process technology and as the group-wide contact for the key topic of life cycle assessment, he can (further) develop LCA approaches and methods and help design the processes related to regulation, policy, and standards work. "I enjoy the interaction and direct contact with customers. It is truly fascinating. We have to find out what their expectations are, what goals they have set for themselves and how we as voestalpine can accompany and support them in this process." It is no coincidence that the Tyrol native ultimately found his place in environmental management at a steel company and a technology and industrial goods group in Linz. 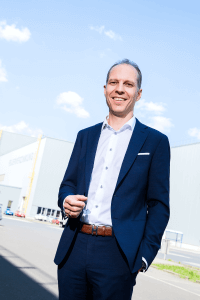 “This is a central theme running through my CV.” Stefan Schuster obtained a degree in Industrial Environmental Protection, Waste Management Technology and Recycling at the Montanuniversität Leoben, specializing in process engineering. He joined voestalpine in 2006 where he first worked in research and development at voestalpine Stahl GmbH. After two years in quality management at voestalpine Giesserei Linz GmbH, he ultimately found his place in environmental management. "Life cycle assessment is a very comprehensive topic. I am involved in a great deal of internal and external processes."